In 2011, within the framework of the Eurasia Partnership Foundation’s European Integration Program, a report: Implementation of European Neighborhood Policy Action Plan (ENP AP) for 2011 in Georgia: Assessment of Civil Society Representatives was prepared. Economic Policy Research Center has assessed the issue of Intellectual Property Rights in Georgia. Below we evaluate the ongoing fight against counterfeiting and piracy as it exists in Georgia. Moreover, we provide an analysis of the progress which has been made in this area and the obstacles which continue to impede the fulfillment of EU requirements, and present recommendations set out by our organization, writes Nino Evgenidze, Executive Director at Economic Policy Research Center. The study has revealed that the government formally fulfilled the main requirements of ENP AP 2011, taking steps toward the improvement of the legislation of intellectual property rights, the development of a copyright association, and raising public awareness. Sakpatenti carried out intensive activities to raise public awareness regarding the field of intellectual and industrial property rights. Still, the level of intellectual property protection in Georgia remains low. 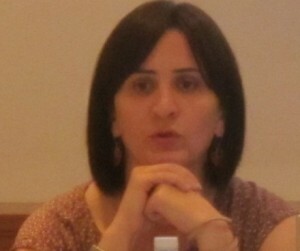 The year 2011 showed that the Georgian legislation concerning intellectual property rights is not an impediment to the fulfillment of assumed obligations; the main problem seems to lie in the enforcement of the legislation rather than in the way it has been articulated. Some analysts have pointed out certain minor flaws in the legislation, but they believe that the improvement of these flaws is not a matter of concern until the existing legislation has been properly enforced. Court statistics provide an interesting window into the enforcement of this legislation: number of legal cases in which intellectual property rights violations were named almost doubled in 2011. However, more than half of these cases were not officially considered. This statistic can be partially explained by a high indicator of out-of-court dispute settlements, but on the other hand, it may also indicate incompetence on the part of the complainants, which once again highlights the need for raising the general level of awareness about intellectual property law (particularly among the corpus of lawyers and judges). In order to address the problems of the enforcement of legislation, the Inter-Agency Coordination Council for Copyright Protection was established in 2010. However, as of 31 December 2011, this Coordination Council had held only one meeting. Under the aegis of the Coordination Council, a copyright protection strategy for the years 2011-2013 was drawn up. The action plan outlined in the document is primarily focused on the implementation of awareness-raising measures. The absence of concrete, effective enforcement measures and the general nature of the indicators make us think that the strategy and plan are of a more declarative than of a practical nature. At the same time, the available statistics indicate that video piracy and the use of unlicensed software is still a serious problem in Georgia. According to data collected from 115 countries in 2010 by U.S. software producing organizations, the Business Software Alliance and IDC Global Software, Georgia, with an indicator of 93%, is the largest user of pirated software. Considering the existing reality, the key recommendation of the Economic Policy Research Centre (EPRC) concerns the improvement of enforcement mechanisms. At the same time, it is necessary for the state to broaden the scope of awareness-raising activities as well as to encourage and stimulate the business and non-governmental sectors to undertake regulatory measures in this area. The awareness-raising campaign should employ methods that have been well-tested and shown to be effective in the West: trainings, seminars, media campaigns, and other actions. We also recommend that the government openly demonstrate the will to protect intellectual property. This can be done by the country’s top officials (for example, the Prime Minister who heads the Inter-Agency Coordination Council for Copyright Protection) by promoting this issue on a declarative level. Even though the government has set up the Inter-Agency Council for coordinating issues related to intellectual property, the slow pace of activity of this Council is unsatisfactory. We recommend that the Council hold meetings more intensively. A strategy has been developed but the Council must place special emphasis on the control of the enforcement of existing legislation. We believe that the strategy’s action plan must be more concrete in its nature and indicators for success must be more precise. Moreover, in addition to goals concerning awareness-raising, the improvement of legislative acts and the conducting of public opinion surveys, the strategic plan should envisage the enhancement of the role of controlling bodies and their use of levers of enforcement. At the same time, along with punitive measures, various stimulating measures for the protection of intellectual property rights must be implemented or encouraged. In general, it is necessary to increase the authority of, as well as trust towards, the court system. It is important also to simplify court procedures for ordering the conduct of IT audits and to receive other types of information during disputes which concern intellectual property rights. Moreover, special programs designed to upgrade the qualification of lawyers and judges must be implemented. In order to avoid a protraction of court processes and their accompanying cost increases, the development of expert services must be supported. The legislative structure concerning intellectual property rights largely conforms to the European framework. However, actual precedents of applying that legislation in practice are scarce and the number of civil disputes concerning intellectual property rights which are settled in court is low. Besides, we deem it important that all those state agencies which are directly or indirectly involved in the enforcement of intellectual property legislation (for example, the Ministry of Internal Affairs, the courts, and so forth) use licensed software or other intellectual products. Such a move would increase trust toward these agencies as well as improve their motivation. It must be said that the economic or social effects of the use of repressive measures are not clear cut. Problems which some experts consider as main obstacles on the path to the enforcement of anti-piracy legislation are common for post-socialist and post-Soviet countries. Given the relatively low income levels in Georgia, a dilemma emerges between computer and Internet use and the consequent availability of educational and modern technologies, on the one hand, and on the other hand, the protection of intellectual property rights. Along with the fight against unlicensed software, it is also important to fight against counterfeiting in general. Therefore, it is helpful to intensify cooperation with holders of intellectual property rights in order to make them more active. For example, import companies must be shown that educating customs officers about their products’ trademarks is a well-tested and widely practiced method in Western countries, and one which will increase the popularity of trademarks.